I have not been typing up the Reunions, but I will start with this issue. The sixth annual reunion of the FULLER and BARDWELL families was held on Saturday, Aug. 20th, on the Powers school ground at Mansfield, with thirty-one in attendance. A business meeting was called to order by President Edward FULLER, of Mansfield, and these officers elected for the coming year: Pres. P. K. LUDINGTON; vice-president, Edward FULLER; secretary, Mrs. Cora DEWEY; assistant secretary, Sara LUDINGTON; treasurer, C. H. FULLER; committee of arrangements Frank DEWEY, Guy FULLER, Claud FULLER; TABLE COMMITTEE, Mrs. Minnie FULLER, Mrs. Sara LUDINGTON, Mrs. Cora DEWEY, Mrs. Ruth ROCKWELL, Mrs.C. H. FULLER; committee on entertainment, Mr. Joseph FULLER, Mrs. Martha COLESTOCK, Mrs. P. K. Ludingto, Miss Clara FULLER, Miss Edith FULLER. The twelfth annual reunion of the descendants of Isaac and Elizabeth BARRETT was held at Alparon Park, Troy, Pa., August 18, 1913. There were about one hundred relatives and friends present, among them being James BARRETT of Bentley Creek, who is 91 years old and the only surviving member of the original family, of 10 children. Business meeting to order by President Charles McKEEL. The following officers were elected: President, John BARRETT; vice-president, E. E. BARRETT; treasurer, J. H. PATTERSON; chaplain, Rev. S. BARRETT, secretary, Mrs. Lena PATTERSON. The fourth annual reunion of the descendants of Daniel and Joseph STANTON was held at the home of J. G. DARROW in Burlington, on Wednesday, August 20, 1913. On account of sickness, only forty-six were present. The following officers were elected: President, J. B. STANTON; vice-president, Larue STANTON, Sr.; treasures, Norton STANTON; chaplain, Burley DARROW, historian, Emma CHAFFEE. The Rockwell family met for their sixty-seventh reunion August 28, at Alparon Park. President was Irvine ROCKWELL, recitations were given by Mrs. Leon BIXBY, Walter BIXBY, Gladys BLAIR, Mrs. James BLAIR, Lena ROCKWELL and Miss Clara PARSONS. Misses Harriett and Len ROCKWELL sang. Rev. Hiram BENNETT of Brooklyn, N.Y., Dr. O. H. ROCKWELL of Monroeton and Mr. Simon STANTON each made a few acceptable remarks. The secreatry read a letter from Mrs. Metta R. BENNETT of Brooklyn. The third annual reunion of the Kennedy family was held at Alparon Park, August 23, 1913. Meeting called to order by the Vice-President and the following officers elected: President, A. C. FANNING; vice-president Elmer KENNEDY, Canton; Treasurer, C. A. SEYMOUR, secretary, Lena KENYON. The descendants of Jehiel and Marietta Norman McKEAN met at the home of Thomas F. BROWNSON, the old homestead in West Burlington for their annual reunion on August 29th. Isaac J. McKEAN was unanimously elected president and James N. McKEAN secretary. Those present were Mr. and Mrs. J. J. McKEAN, Mrs. Mary McKean ROCKWELL; Mr. and Mrs. T. E. BROWNSON; Mrs. Della McKean BAILEY, Mrs. Meade CASE, Mr. Thomas B. CASE, Mr. and Mrs. H. R. BENNETT and the Misses Marietta and Kathleen WIGGINS and Miss Gladys WALDRON. The twenty-fourth annual reunion of the descendants of Abjah and Thurse AYRES was held at the home of Mr. and Mrs. John SPALDING near Troy. A paper was read by Laura AYERS and a letter from Sarah AYERS, who found it impossible to be with us. Officers were elected for the following year: President, Chas. LEIBY; vice-president, Floyd BRADFORD; secretary, Anna AYERS; treasurer, Lon AYERS. The meeting then was closed. There have been during the last year, three deaths and four births. At the first annual reunion of the grand children of John and Rebecca McKean DOBBINS, there were present, John F. HUNT, John E. DOBBINS, Mrs. Rebecca BURGESS, Mrs. Emma HEPBRUN, Miss Stella McNETT, Mrs. Mary FERGUSON, Mrs. Emma BLACKWELL, Mrs. Nora PACKARD, Mrs. Helen VAN BUSKIRK. Great grand children—Mrs. Herman SLINGERLAND, Misses Mary and Emma HILL. Great great grand children—Charles McNett; also the following: Alfred BLACKWELL, Lewis PACKARD, Herman SLINGERLAND, Mrs. John HUNT and Albert J. HUNT. Mr. DOBBINS settled in Burlington township in 1791 and moved to Troy township in 1820, upon the farm now occupied by Herman SLINGERLAND and, later he moved to near Dillins’ mill where he died in 1890. His wife was a daughter of James and Jane Scott MC KEAN. The sixth annual reunion of the descendants of Jonathan and Sally Scott will be held at Alparon Park, Troy, Pa., Wednesday, June 19, 1912. All are cordially invited. To attend. Mrs. Eva Scott, Sec. Smith Family. The twelfth Smith reunion will be held Thursday, June 27th, at the home of Joe DeWitt in Mainesburg. All relatives cordially invited. Manley Smith, Pres. Ana B. Smith, Sec. (East Troy News) The Youngs reunion was held on Wednesday at the home of Mr. and Mrs. Fred VanNoy. Bailey Family. The descendants of Alvin and Julia Bailey will hold their annual reunion at Alparon Park, Troy, Pa., on Friday, June 28th, 1912. All are requested to be present. Ella B. Young, Secretary. Bullock Family. The ninth annual reunion of the descendants of Stephen and Mary Bullock, will be held at Alparon Park, Troy, Thursday, June 27, 1912. A Cordial invitation is extended to all relatives of the family. Come prepared to assist on the program. Mrs. Lelia Coveney, Secretary. Sherman Family. The descendants of John and Sally Sherman, will hold their reunion at Alparon Park, June 29th. Mrs. Frank Swain, Secretary. Van Horn Family. The descendants of Sydney and Amelia Van Horn, will hold their twenty-fifth annual reunion at Alparon Park on Wednesday, June 26, 1912. Martha Parke, Secretary. Smith Family. The twelfth Smith reunion will be held Thursday, June 27th, at the home of Joe DeWitt in Mainesburg. All relatives cordially invited. Manley Smith, Pres. Ada B. Smith, Sec. Calkins Family. The Calkins family will hold their second annual reunion at the home of Howard Cole, at East Troy, on Thursday, July 4th, 1912. All relatives of the family are cordially invited. By the order of committee. The ninth annual reunion of the descendants of Horace Spencer, Sr., and wife, Hannah, was held at Mountain Lake Wednesday, June 28, 1912. A fine picnic dinner was partaken of by the company on the grounds beside this beautiful lake. In the afternoon the business and entertainment part were presented. The following officers were re-elected: Abram D. Spencer, President; Alfred C. Spencer, Secretary; Horace Spencer, Treasurer. Interesting and elevating remarks were made by Rev. Edward F. Larcom, Rev. A. H. Youell and Rev. F. Hess. Solos were sung by Rev. A. H. Youell, Miss Mildred Swartwood and Miss Elizabeth Kendall. Those present from a distance were: Rev. and Mrs. A. H. Youell and daughter, Florence, of Chemung, N. Y.; Rev. John Darrow of Millerton, Pa.; Mrs. Harry Putnam and daughter, Helen, of Canton; and Mrs. Emory Morehouse of Cedar Springs, Michigan. During the past year there have been no deaths or births in the family. There has been one wedding D. A. Bourne was married May 1, 1912, to Miss Sarah A. Wrisley. The next reunion will be held the last Wednesday in June 1913. It will be at Mountain Lake, unless changed by the executive committee. Alfred C. Spencer, Sec’y. The ninth annual reunion of the Bullock family was held at Alparon Park on Thursday, June 27, 1912. Owing to a combination of adverse circumstances the attendance was less than usual. While under the immediate shadow of the death of some who had been most active in promoting these reunions, yet with a beautiful day, a bountiful dinner and the feeling of kinship and good will prevailing, the occasion proved most enjoyable. None of the officers being present, F. W. Bullock acted as chairman pro tem., and requested Mrs. Nellie Grinnell to act as Secretary and Treasurer. Later in the day the officers, together with Ira Parsons as Vice-President, were elected for the ensuing year. The time of meeting was voted to be continued as the last Thursday in June, until otherwise ordered. A letter was read from Lelia Coveny, Secretary and Treasurer, stating that it would be impossible for her to attend this year, and expressing much regret thereat. The following deaths were reported: L. Ballard, July 5, 1911, Minnie Ballard infant daughter of L. Ballard, April 1912; C. E. Gladding, Feb. 11, 1912; M. H. Gore, May 9, 1912; and William Bullock, June 23, 1912. Requests for remarks were responded to by J. H. Calkins, Darius Bullock, Jesse Bullock, Floyd Bullock and Bertha Parsons. The chairman named Darius Bullock, Bertha Parsons and Cecile Gladding as committee of arrangements for the coming year. The Secretary was requested to send a report of the reunion to the Gazette-Register and Reporter-Journal for publication. Nellie Grinnell, Sec’y. The descendants of John and Sally Sherman met at Alparon Park on Saturday, June 29th. Forty-two were present, and all enjoyed themselves greatly. A bountiful supply of good things to eat, and a fine program consisting of recitations, singing, speeches, etc., made the time pas very agreeably. Rev. Glen A. Baldwin, wife and son were present, and the former gave a pleasing and instructive talk. Wesley Sherman was re-elected President, Albert Newell Vice-President, and Mrs. Frank Swain Secretary. The meeting adjourned to meet in June, 1913, date not definite. Mrs. Frank Swain, Sec’y. Smith Family. The annual reunion of the descendants of Isaac and Eunice Smith will be held at the home of C. A. Calkins on the Porter road between Sylvania and Troy on Thursday, Aug. 1st, 1912. Fenton Family. The second annual reunion of the descendants of Bigelow and Martha Fenton will be held at the grove of Charles Horton at East Troy, on Friday, August 16, 1912. A cordial invitation is extended to all the family connections. Charles Horton, Pres., Mrs. Burdett Fleming, Sec. Selleck-Ellis Family. The annual gathering of descendants of Riley and Judith Selleck will be held Thursday, August 1st, at Mountain Lake. All come, and make the day one long to be remembered. Edward Selleck, Pres. Mary Ellis Dutcher, Secy. Robbins Family. The second annual reunion of the descendants of William and Sophronia Robbins will be held at the home of Abijah R. Robbins in Springfield, Aug. 7th. All friends and relatives are cordially invited. Dann Family. Our seventh annual reunion and picnic will be held in Eldridge Park, Saturday, Aug. 17. All relatives and friends are cordially invited. E. W. Dann, Sec’y. Smith Family. The eighteenth annual reunion of the descendants of Jesse and Eunice Smith will be held on Saturday, August 10th, at the home of Warren Smith in Austinville. All relatives and friends are cordially invited. Warren Smith, President. Ayres Family. The twenty-third annual reunion of the Ayers family will be held at the home of Mr. and Mrs. Frank Ayers, near Windfall, Wednesday, Aug. 21. Note change of date from July 31 to Aug. 21. Mabel Ayers, Sec’y. Rogers Family. The third annual reunion of the descendants of Ebenezer and Sarah Ann Rogers will be held at Keystone Park, Sayre, Pa., Saturday, August 10th. All relatives and friends cordially invited. Mrs. W. C. Olds, Sec’y., Troy, Pa.
Shoemaker Family. The annual reunion of the Shoemaker family will be held at the home of Ray Shoemaker on the old Pain Shoemaker farm in LeRoy township on Saturday, August 3rd. All relatives are cordially invited to be present. M. T. Haxton, Sec’y, Chas. Shoemaker, Pres. Fuller and Bardwell Families. The fifth annual reunion of the Fuller and Bardwell families will be held at the home of Guy Fuller, Springfield, August 21st. All relatives are cordially invited. Mrs. Frank Dewey, Sec’y. Stanton Family. The third annual reunion of the descendents of Daniel and Joseph Stanton will be held at the home of Burley Darrow in Burlington, Pa., on August 21, 1912. Please bring knife, fork, spoon, plate and cup. By order of the President, James Stanton. Tracy Family. The twentieth annual reunion of the J. Olmstead Tracy family will be held at the home of Selden Tracy, East Smithfield, Pa., Wednesday, August 28th, 1912. You are cordially invited to attend. C. C. Dickinson, President, J. D. Tracy, Secretary. Smiley Family. The fifty-sixth annual reunion of the Smiley family will be held at the home of Omera Smiley, West Franklin, Pa., August 22, 1912. L. N. Smiley, President, H. A. Benedict, Secretary. Fitzgerald Family. The annual reunion and picnic of the descendents of Elizabeth Brookstaver and Robert Fitzgerald will be held at Eldridge Park, Elmira, N. Y., Wednesday, August 21, 1912. All members of the family are most cordially invited. Bring cup, fork and spoon. Daisy M. M. Roy, Cor. Sec’y., Elmira, N. Y.
Brooks Family. The tenth annual reunion of the Brooks family will be held at the home of Henry Brooks in Saco on August 28, 1912. All relatives are cordially invited. Mrs. R. D. Landon, Secretary. Barrett Family. The eleventh annual reunion of the descendents of Isaac and Elizabeth Barrett, will be held at the home of Mr. and Mrs. Sydney Patterson, Springfield, Pa., on Thursday, August 22, 1912. All relatives and friends are cordially invited. Mrs. Seymour Barrett, President, Sydney Patterson, Secretary. Morley, Grace, Sargeant, Salisberry Family. The ninth annual reunion of the Morley, Grace, Sargeant, and Salisberry families will be held at Keystone Park, Sayre, Pa., August 22, 1912. All members are invited. H. P. Graves Secretary, 221 Birchwood Ave., Elmira Ht’s., N. Y.
Storrs Family. The sixth annual reunion of the Storrs family will be held at the home of Jonas F. Storrs in Granville Center August 17th. All relatives are cordially invited to attend. Jonas F. Storrs. Parke Family. The fifteenth annual reunion of the Parke family will be held at Alparon Park, Saturday, Aug. 17th. Mrs. W. A. Johnson, Sec’y. Morrison Family. The Morrison family reunion will be held at the home of Amos Morrison in Granville, Thursday, Aug. 15th. All relatives are cordially invited. Wilber Baxter, Sec’y. Greenough Family. The Greenough reunion will be held Wednesday, Aug. 14th, at Alparon Park. Selleck-Ellis. The sixth annual gathering of the descendants of Riley and Judith Selleck was held at Mountain Lake Thursday, August 1st. At 1 o’clock meeting was called to order by the vice-resident, Lyman Selleck, and 82 relatives and friends sat down to the well-laden tables, which were spread in the grove, to which all did ample justice. At. 3 o’clock the following officers were elected for next year: President, George Selleck; vice-president, Edsal Selleck; secretary, Mary Ellis Dutcher; treasurer, Oscar Woodruff. It was left to be decided later when and where the next reunion would be held. There were four births reported: To Mr. and Mrs. Leonard Ayres, a son; to Mr. and Mrs. Bradford Ellis, a son; to Mr. and Mrs. Frank Darrow, a daughter; to Mr. and Mrs. Mark Selleck, a daughter. The group was photographed. Mary E. Dutcher, Sec. Strait Family. The 14th annual reunion of the Strait family will be held Thursday, August 29, 1912, at the I. O. O. F. hall, Sylvania, Pa. Dora M. Wolfe, Sec. Worden and Jackson Families. The tenth annual reunion of the Worden and Jackson families will be held Saturday, Sept. 7th, at the I. O. O. F Hall in Sylvania. All relatives are cordially invited. A. W. Ripley, Secy. Dunbar Family. The fifteenth annual reunion of the Dunbar family will be held at Alparon Park, Troy, Pa., the fourth Wednesday in August (the 28th). A large attendance is desired. Minard Dunbar, President; T. Weller Calkins, Sec. Dibble Family. The fourth annual reunion of the Dibble families will be held at Ulster, Pa., on August 23, 1912. All relatives please take notice. Abe Eastman, Pres. ; Mrs. Ferris J. Dibble, Sec. Larcom Family. The thirteenth annual meeting of the Larcom reunion will be held at Covington, Tioga Co., Pa., on Wednesday, August 28, 1912. Let everybody interested make it a point to be there and contribute by their presence and social influence to make this meeting one of the best ever. E. F. Larcom, Pres. ; Mrs. Horace Pratt, Sec. Perry and Swaine Families. The fifth annual reunion of the descendants of the Perry and Swaine families will be held at Jerome Perry’s, Powell, Pa., on Thursday, Aug. 29th. All relatives of both families are cordially invited to be present. Isaac Perry, Pres. ; Mrs. J. W. Bailey, Sec. Beach Family. The thirteenth annual reunion of the descendants of Timothy and Abigail Beach will be held on the troy Fair Grounds Tuesday, August 20, 1912. Adaline Sayles, Sec. Swain Family. The relatives of G. M. Swain are cordially invited to attend a picnic at his home Thursday, Aug. 22d, in honor of his 73d birthday. Bring a well filled basket. Mrs. C. C. Horton. Wilcox Family. The fifteenth annual reunion of the Wilcox family will be held at the Wilcox grove in Shunk, on Friday, Aug. 30th. Relatives and friends are cordially invited. Fred McCarty, Pres. ; Miss Clara Wilcox, Sec. Ross Family. The nineteenth annual reunion of the descendants of David and Phebe Ross will be held at Pratt’s grove Thursday, Aug. 22. Mrs. J. S. Mott, Sec. Brooks Family. The tenth annual reunion of the Brooks family will be held at the home of Henry Brooks in Saco on Aug. 28, 1912. All relatives are cordially invited. The L. A. S. will meet the relatives at the train and serve the dinner. Mrs. R. D. Landon, Sec’y. Ayers and West Families. The twelfth annual reunion of the Ayers and West families will be held at the home of Lyman Peters on Pisgah on the last Saturday in August, August 31, 1912. All friends and relatives are cordially invited. Bixby Family 27th Annual Reunion. The twenty-seventh annual reunion of the Bixby family was held at Alparon Park on August 1st. There were a large number of friends and relatives present, including some who had not before attended. The younger members particularly showed great interest in keeping up the reunions as the older relatives are rapidly passing away. Mrs. Harrison Bixby is the oldest relative living. A very appetizing dinner was served, after which officers were elected as follows: President, Fred Bixby; Vice-President, Olen Bixby; Secretary and Treasurer, Neva M. Bixby. A very nice program was given by the young people, consisting of readings and music. The next reunion is to be held at Eldridge Park, Elmira. Neva M. Bixby, Sec. The fourth annual reunion of the descendants of John S. and Hannah Becker met at the home of Mr. and Mrs. William Kinch Thursday, August 8th. The day was pleasant and cool and about 75 relatives and friends were present. After partaking of a bountiful dinner, the business meeting was called to order by Vice-President Claude Becker. Minutes of the last meeting were read and approved. The following officers were elected for next year; President Alvin Thomas; Vice-President, Meade Thomas; Treasurer, Claude Becker; Secretary, Eliza A. Case. Prayer by the Rev. Byron of Alba. Rev. Boughton of Canton, gave a fine address. A vote was carried that the next reunion be held at the home of Frank Thomas at Alba. There were three births and two marriages last year. At the close of the pleasant meeting good-byes were said as the guests departed to their several homes, hoping to meet many more friends at the next reunion. Eliza A. Case, Sec. (East Troy News) The Parke reunion was held at Alparon Park last Saturday and a delightful day was spent. Those from away were: Mrs. Myra Tracy and daughter, Nettie, and son James, of Smithfield, Miss Alice VanHorn of Brooklyn, Mr. and Mrs. Claud Warren of Binghamton, N. Y., Dr. C. M. Frisbie of Cambridge, N. Y. The reunion for 1913 will be held at the same place and at the same time as this year. Rockwell Family. The annual reunion the Rockwell family will be held at Alparon Park, Thursday, Aug. 29th. A large attendance is urged. Ira Parsons, Sec’y. Thomas Family. The fourth annual reunion of the Thomas family will be held on Wednesday, Aug. 28th, at the home of O. L. Field, Canton, Pa. Evalyn Field, Sec’y. Chase Families. The eighth annual reunion of the Chase families will be held Thursday. August 29th at Brand Park, Elmira. Relatives and friends are cordially invited to attend and bring dinner baskets and each person a cup, spoon, knife and fork. Minnie L. Cease, Sec. (Covert News) There will be a reunion of the descendants of Arba and Dolly Wood at Austinville on August 31. The 22nd annual reunion of the Allen Rockwell family and the 12th reunion of the Greene families was held on Crayton’s Island at West Franklin, on Thursday August 15th. The day was ideal, and about 250 relatives and friends were present. The forenoon was spent in greetings and preparing the sumptuous dinner which all enjoyed. After dinner the meeting was called to order by President John Rockwell, Singing “America”; prayer by Mortimer Rockwell. The minutes of the last meeting were read and approved. The officers for next year are: President, John Rockwell; Secretary, for Rockwells, Matie Mailey; for Greens, Mercy Willey; Treasurer, Sylvester Rockwell; Entertainment Committee, Debbie Allen, Jennie Allen, Maude Rockwell and Clara Bailey. A vote was carried that the next reunion be at the same place on the same date, the third Thursday in August, 1913. The following deaths were reported: Mrs. Matie H. Larcom, Oct. 12, 1911; Allen C. Rockwell, June 1, 1912; Durell Webber, June 10, 1912; Martin Rockwell, July 28, 1912. After a few remarks by the President, the meeting was closed by male voices singing trios, quartets and quintets. As the day began to draw to a close the friends departed to their different homes, hoping to meet each other again next year. Mrs. Matie Bailey Secy. The annual reunion of the Tabor family, with their invited guests, was held in the Hall, Sylvania, on Thursday, August 15. There was quite a large gathering of Tabor families and their connections, but distance and the necessities of business and various things kept a number away who are usually present. The dinner was one of the bountiful ones was served by the younger matrons, who with grace and skill saw that the wants of all were supplied. The day was given up largely to the renewal of friendships and to the greetings of those who had not seen each other since the last reunion, but time was taken for the necessary business and for a program that while not unduly long, was excellent in character and much appreciated by the audience. George W. Williams of Wellsboro, who is president of the reunion, called the meeting to order, and after the singing of a hymn gave an address of welcome and reviewed the chief family events of the year. These were all of a happy nature. Then, after the minuets of the last meeting were read and approved, he called upon various ones who responded as follows: A chorus “Greeting,” by the Glee Club. A recitation was given by Margaret Swain, and also one by her sister, Madeline. Pauline Nash sang a song and Mabel Mosher played a piano solo. Brief but appropriate addresses were made by Rev. A. G. Cameron, Prof. F. W. Card and Homer Card. The Glee Club gave another delightful selection and after some business matters were attended to, a hymn was sung, the benediction pronounced by the Rev. A. G. Cameron, and a most delightful day was brought to a close. The following are the officers for the next meeting to be held on Labor Day, 1913: President, George W. Williams, Wellsboro; Secretary, W. J. Squires, Sullivan; Treasurer, Mrs. W. G. Mosher, Sylvania. On motion, it was decided to extend an invitation to the Card family to meet with the Tabors next year, as many connections by marriage, exist between the two families. The descendants of Ebenezer and Sarah Ann Rogers held their third annual reunion at Keystone Park, Sayre, Pa., on Saturday, August 10th, with 54 present. The following officers were elected: President, D. M. Rogers: Vice-President, James Rogers; Secretary and Treasurer, Mrs. Alice Olds. The next reunion will be held at Eldridge Park, Elmira, the second Saturday in August, 1913. Mrs. Alice Olds, Sec’y. The sixty-sixth annual reunion of the Rockwell family was held at Alperon Park, Thursday, August 29th, 1912. After a bountiful dinner, the president, Irvine Rockwell, took charge of the program. Singing “Blest Be the Tie That Binds,” was followed by the minutes of the last meeting and roll call. Fifty persons were present and three births during the year were reported. Recitations were given by Jennie Belle Stanton, Walter Bixby, Miss Clara Parsons and Mrs. Leon Bixby. Mr. Simon Stanton made a few remarks and Mrs. Metta R. Bennett gave a very brief description of a recent European trip. The president appointed Miss Clara Parsons, Mrs. Leon Bixby and Mrs. N. R. Stanton as committee on entertainment. After singing “God Be With You till We Meet Again,” the meeting was adjourned until the last Thursday in August, 1913. Ira A. Parsons, Secretary. The third annual reunion of the descendants of Daniel and Joseph Stanton was held at the home of Burley Darrow in Burlington, Pa., on Wednesday, August 21, 1912, seventy-one being present. After a sumptuous dinner a business meeting was held. It was called to order by the president, James B. Stanton, and opened by singing “Shall We. Meet Beyond the River,” followed by scripture reading and prayer. The following officers were elected: President, James B. Stanton; vice-president, Burley Darrow, secretary, Frances Darrow, treasurer, Norton Stanton, historian, Emma Chaffee, chaplain, Simon Stanton. The meeting was closed by singing “We’ll never Say Good bye.” Next meeting to be held at the home of J. G. Darrow, in Burlington boro, on the third Wednesday of August, 1912. Frances Darrow, Sec. Kindred of Many Families Meet at Reunions. The sixth annual reunion of the Darrow, Shattuck and Maynard families was held at Alparon Park, Troy, Pa., august 27th, with about fifty present. The following officers were elected: Burley Darrow, president, Herman Darrow, vice-president; Myrtle E. Darrow, secretary and treasurer. It was decided to hold the next reunion in the same place next to the last Saturday in August, 1913. Myrtle E. Darrow, Secretary. The first annual reunion of the descendants of Alexander and Catherine Kennedy was held at Alparon Park, Saturday, August 24, 1912. The day was fine and about 100 relatives were present. The forenoon was spent in preparing the bountiful dinner which was enjoyed by all. After dinner the meeting was called to order by the President, W. B. Kennedy, and the minutes of the last meeting were read. The following officers were then elected for the coming year: President, John Canedy, vice-president, W. B. Kennedy; secretary, Ada Cowl, treasurer, Clyde Seymour. It was decided to have the officers appoint the committee of arrangements. There were several recitations by the children, after which Prof. Robert Halpin gave an interesting talk on the United States as a world power. The meeting then closed to meet at Alparon Park the fourth Saturday in August, 1913. Ada Cowl, Secretary. The eighth annual reunion of the Chase families was held at Brand Park, Elmira, Thursday, August 25th, 1912. After dinner the meeting was called to order and the following officers elected: Daniel Chase, president and historian; George Fletcher vice-president; and Minnie Chase, secretary and treasurer. The next meeting will be at the home of Mrs. Margaret Goodreau in Delmar, Tioga County, Pa., the last Thursday in August 1913. Minnie Cease, Secretary. The fifth annual reunion of the Perry-Swain families was held at the pleasant home of J. L. Perry near Weston, Pa. Notwithstanding the threatening weather a large number of friends and relatives were present from Burlington, Granville, Powell and other points. A sumptuous dinner was served under the large tent on Mr. Perry’s lawn. After dinner the meeting was called to order by the genial president, Isaac Perry. Minutes of last meeting were read and approved. Remarks were made by Milford Taylor of Sayre, and others. Recitations by Miss Hilda Monroe, Mrs. L. B. Perry and Master Edgar Perry. All the old officers were elected except secretary. It was voted to hold the next reunion at Crayton’s Grove on the second Thursday in August, 1913. Zoa Baxter, Secretary. (Sylvania News) The Worden reunion was held in the hall on Saturday of last week. There was a large attendance of relatives and friends from near and far. The twelfth annual reunion of the Hicks family was held at Alparon Park, August 21st. Over 90 of the clan were present. After enjoying a good dinner and a good time the business meeting was held. E. M. Reeser was elected president, Mrs. H. L. Sargeant, secretary. The next place of meeting to be Keystone Park, the third Wednesday in August 1913. Six births, six deaths and two weddings were recorded for the year. The fifth annual reunion of the Fuller and Bardwell families was held at the pleasant home of Mr. and Mrs. Guy Fuller in Springfield, August 24th with over 70 present. A fine dinner was served at the noon hour, after which a business meeting was conducted by President Frank Dewey. The meeting was opened by singing “Nearer My God to Thee.” Prayer by Mrs. Martha Colestock. Officers were elected as follows: President, Edw. Fuller, vice-president, George Fuller, secretary, Mrs. Frank Dewey, asst. secretary, Mrs. Sara Ludington, treasurer, C. H. Fuller; table committee, Mrs. Guy Fuller, Mrs. C. H. Fuller, Misses Ida Fuller, Mary fuller and Edna Fuller. Committee on entertainment, Mrs. Martha Colestock, Mrs. Nora Daily, Mrs. Matilda Ludington Mrs. Myrtle Frost. Committee of arrangements, emery Fuller, George Fuller. All enjoyed a fine time. It was voted to have the next reunion at Smythe Park, Mansfield, the last Saturday in August, 1913. Brooks Family Meets with Mrs. Nancy Brooks. The eleventh annual reunion of the descendants of Joseph and Martha Brooks met at the pleasant home of Mrs. Nancy Brooks at Saco, Wednesday, August 2. Owing to the inclemency of the weather there were not as many present as in former years. After all had received a most hearty welcome from our hostess and family we were invited to the nearby Grange hall, where the Ladies’ Aid Society of Saco served a fine three course dinner to over forty. After dinner the vice-president called the meeting to order. Prayer was offered by Frank Brooks. As the secretary was absent, no minutes were read of the 1911 meeting, held at Eldridge Park, Elmira, N. Y. Then came election of officers for the next year. President, N. H. Drake of Wysox; vice-president, Henry Brooks, Saco, secretary, Mrs. W. W. Brooks, East Troy; treasurer, Mrs. Frank Brooks, East Smithfield. There were no marriages or births reported. There have been four deaths since the last meeting. 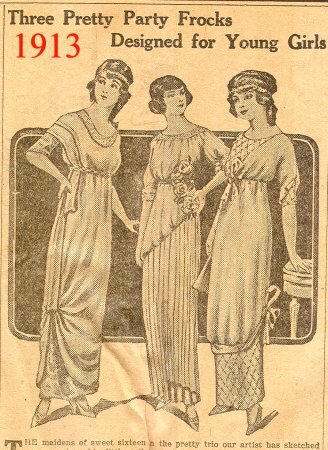 Mrs. Frank Brooks, Mrs. W. H. Drake and Mrs. Julia Sinclair. Miss Anna Brooks president appointed as committee to in singing “God be with You till we Meet Again.” At a late hour we departed to our homes voting it one of the most pleasant reunions we ever had. Mr. W. W. Brooks, Secretary. Mr. and Mrs. John Ludington, Mr. and Mrs. Perley Ludington and daughter Beatrice of Troy, Mrs. Etta Covert of Rochester, Mr. Burt Ludington of Falls Creek, Mr. and Mrs. Frank Ludington, Mr. and Mrs. William Ludington and daughters, Clarissa and Laura and son, Guy, Mr. and Mrs. Hosea Kennedy and daughters, Mary, Grace and Blanche, sons, William, Luke and James partook of a sumptuous dinner at the home of their aged mother and grandmother in Delmar, Tioga county, on Friday, April 16. Although it was a surprise to Mrs. Ludington and she didn’t know they were coming until 8 o’clock and she is past 80. She had a bountiful dinner ready when the clock struck 12. Two chauffeurs, Manley Piatt and George Lay were of the gathering. Mr. Lay is an old neighbor of the Ludingtons as they all used to live near Troy. After dinner the grandchildren enjoyed an auto ride with Mr. Piatt. Saxton Family. The twenty-third annual reunion of the Saxton family will be held at Ralston, Pa., on Thursday, June 17th, 1915. Chas. H. Saxton, President. Scott Family. The ninth annual reunion of descendants of Johnothan and Sally Scott will be held at Alparon Park, Troy, Pa., June 16th. Mrs. Eva Scott, Secretary. Bullock Family. The twelfth annual reunion of the descendants of Stephen and Mary Bullock will be held at Alparon Park, Troy on June 24. E. F. Bullock, President, Cecile E. Gladding, Secretary. Greeno Family. The Greenough family reunion will be held at Alparon Park, Troy, Pa. Tuesday, June 29th, LaVerne Greeno, Secretary. VanHorn Family. The twenty-eighth annual reunion of the VanHorn family will be held at Alparon Park on Wednesday, June 30. Please note change of date. Gertrude VanHorn Secretary. Bailey Family. The sixth annual reunion of the Bailey family will be held at Alparon Park, Troy, Friday, June 25th. Wallace Bailey, Pres’t., Elizabeth Smith, Sec’y. Sherman Family. The sixth annual reunion of the descendants of John and Sally Sherman will be held at Alparon Park, Troy on June 26, 1915. H. E. Chase, President: Mrs. Meade Thomas, Sec’y. Smith Family. The reunion of the descendants of Capt. Isaac and Eunice Smith will be held at the home of Ira A. Parsons, Troy, Pa., on Monday, July 5th. Brooks Reunion. The reunion of the Joseph Brooks family will be held at the home of Perry Brooks, Canton, Pa. Wednesday, June 30th, 1915. Trains arrive at 9:05 and 11:19 a. m., leaving 4:19 and 8:45 p.m. Picnic dinner. (East Troy News) Mr. and Mrs. F. P. VanNoy, Mr. and Mrs. Leon Bristol and little son, Frederick, Mr. and Mrs. P. O. VanNoy, Mr. and Mrs. Oscar Young and children, attended the Young reunion Wednesday, June 16th, at Keystone Park, Sayre. Spencer Family. The twelfth annual reunion of the descendants of Horace and Hannah Spencer, will be held at the home of E. L. Bourne, on Wednesday, June 30th. Mrs. Theodore Wrisley, Secretary. The twelfth annual reunion of the descendants of Stephen and Mary Bullock was held at Alparon Park, Troy, June 24, 1915. Fifty-one relatives registered. After dinner the following officers were elected: President, E. F. Bullock’ Vice-President, George W. Coveney; Secretary-Treasurer, Cecile E. Gladding. Clara Parsons was appointed to have charge of the program next year. Through the efforts of Mrs. O. E. Crediford a most enjoyable program was listened to, consisting of recitations by Stanley Wolcott, Ida Harkness, Cecil Wolcott and Amos Crediford; violin music by Lawrence Coveney; talk and recitation, by Lelia Coveney; talk and reading by Clara Parsons. Interesting description of a trip to Washington, D. C., by Eugene Crediford; and amusing college stories by Leland Parsons. Adjourned to meet at same place the last Thursday of June, 1916. The reunion of the descendants of Capt. Isaac and Eunice Smith was held at the home of Ira A. Parsons, July 5th. Many were kept away by the weather and sickness but those who attended report a good time and a good dinner. Linen spun and woven by Eunice Smith about the year 1780, chairs used by her and her husband and photographs of six of their eleven children were examined with interest. The twenty-seventh annual reunion of the Greeno family was held at Alparon Park, June 29th, sixty being present including six visitors. After a fine dinner the meeting was called to order by President, W. J. Greeno when the following officers were elected: Charles Greeno, President; Volney Greeno, Vice-President; LaVerne Greeno, Secretary and Treasurer. Table Committee: Mr. and Mrs. Eldric Packard, Mr. and Mrs. J. O. Whitman, Mr. and Mrs. Martin Hager. A short talk by Rev. Brague was enjoyed, closed by singing “Blest be the Tie,” and “God b with you Till we meet Again,” LaVerne Greeno, Sec’y. Ludington Family. The seventh annual reunion of the descendants of William and Ruth Ludington will be held at Smythe Park, Mansfield, Pa., Wednesday, August 4, 1915. All relatives and friends are invited. Mrs. Burt Dewey, Sec’y. Smiley Family. The Smileys will hold their 59th annual reunion at the home of Mr. and Mrs. O. G. Smiley, West Franklin, Pa., Friday, August 20th, 1915. All relatives are invited. Please bring necessary dishes and silver for your family. Fred S. Kelley, President. Kiff Family. A Kiff reunion will be held at the residence of S. S. Cosper, Alba, Pa., Thursday, August 5th, 1915. All relatives are invited. Those coming by train will be met at Alba station. Picnic dinner. No special invitations will be sent. Mrs. J. W. Kinch. Sec’y. Boughton Family. The sixth annual reunion of the Boughton family will be held at Eldridge Park, Elmira, Saturday, August 7th, for dinner. Ladies please bring refreshments. It is desired to have as many as possible take part in the program. Mrs. F. R. Thompson, Sec’y. Churchill and Vroman Reunion. The annual reunion of the Churchill and Vroman families will be held at Lake Breeze on Saturday, August 21st, 1915. All relatives are cordially invited. Program committee: Sidney Clark, Margaret Churchill, Maude Holcombe, Mrs. Charles Doud, Secretary. Ayers Family. The twenty-sixth annual reunion of the descendants of Abijah and Thursa Ayers will be held at the home of Gayland Ayers at Alba, Pa., August 18, 1915. All relatives cordially invited. Ada M. Leiby, Secretary. Smith Reunion. The descendants of Jesse and Anis Smith will hold their twenty-first annual reunion on Tuesday, August 10, 1915, in the Odd Fellows hall in Austinville. All relatives and friends are cordially invited, Nora L. Styres, Secretary. Fuller and Bardwell Families. The eighth annual reunion of the Fuller and Bardwell families will be held at the I. O. O. F. hall, Sylvania, Pa., Tuesday, August 10, 1915. Committee of arrangement are: Frank Dewey, Ed Carnwright, John Ludington, Sam Fuller. Table committee: Mrs. John Ludington, Mrs. Frank Dewey, Mrs. C. H. Fuller, Mrs. John Fuller, Mrs. Sam Fuller. Dishes and silver furnished. Mrs. Dean Rockwell, Secretary. Darrow, Shattuck and Maynard Families. The ninth annual reunion of the Darrow, Shattuck and Maynard families will be held at Alparon Park, Troy, Saturday, August 7th. All relatives and their friends are cordially invited. No special invitations. Mrs. Elmer Ross, Secretary. Beach Family. The sixteenth annual reunion of the Beach family will be held at C. C. Horton’s grove at East Troy, Thursday, August 19. Miss Rosa E. Williams, Secretary. Bunyan Family. The sixth annual reunion of the Bunyan family will be held at the home of J. W. Duart, Windfall on Saturday, August 21. Mrs. John C. Wright, Secretary. Morrison Family. The seventh annual reunion of the Morrison family will be held at Amos Morrison’s grove, Wednesday, August 18th. All relatives are cordially invited. Wilber Baxter, Secretary. Becker Family. The descendants of John S. and Hannah Becker will hold their annual reunion at the home of Claude Becker, Armenia, Pa., Thursday, August 12, 1915. No cards will be sent. Mrs. Eva Packard. Fitzgerald Family. The annual reunion and picnic of the descendants of Elizabeth Bookstaver and Robert Fitzgerald will be held at Eldrige Park, Elmira, N. Y., Wednesday, August 18th. All members of this family are invited to be present. Bring cup and silver. Daisy M. M. Roy, Secretary, Elmira, N. Y. R. D. 2. Smiley Family. The Smiley family reunion will be held Friday, August 20th, at the home of O. G. Smiley at West Franklin. All relatives are requested to make an extra effort to be present. Relatives reading this notice will please notify members of their family living in other sections, of the date and place same is to be held. Mott and McCraney Families. The twenty-first annual reunion of the Mott and McCraney families will be held at the Grange hall in Leroy, the last Saturday in August, the 28th. C. E. McCraney, President; Mrs. R. A. Palmer, Secretary. Barrett Family. The thirteenth annual reunion of the descendants of Isaac and Elizabeth Barrett will be held at Alparon Park, Troy, Saturday, August 21. Should it be stormy on that day it will be held on the next Saturday. A cordial invitation is extended to all relatives and friends. James H. Patterson, Secretary, Athens, Pa.
Warner Family. The twenty-first annual reunion of the descendants of Thomas and Belinda Warner will be held at Riverside Park at Elmira, on August 19th. All relatives are invited to attend. Nettie Randall, Secretary. Stanton Family. The sixth annual reunion of the descendants of Daniel and Joseph Stanton will be held at the home of J. G. Darrow of Burlington, Pa., Aug. 18, 1915. Each one bring something for the dinner. Jane H. Darrow, Sec’y. Balmer Family. The fourth reunion of the Balmer family will be held at Eldridge Park, Elmira, N. Y., Saturday, August 21, 1915. All relatives are invited to attend. Mrs. R. R. Welch, Secretary, 814 Oak St., Elmira, N. Y.
Robbins Family. The descendants of William and Sophronia Robbins will hold their fifth annual reunion on August 20th, at the home of Charles Woodard, Springfield, Pa. All relatives and friends are cordially invited. Mrs. James Wilson, Secretary. McClelland Family. The second annual reunion of the descendants of John and Anna Marie McClelland will be held the last Wednesday in August at Alparon Park, Troy, Pa. All relatives and descendants are urgently requested to be present. Please bring silver and cups sufficient for your family. Any further information may be obtained by writing Mrs. Fay D. Morley, Gillett, Pa.
Woodard and Benjamin Families. The annual reunion of the Woodard and Benjamin families will be held at the home of George W. Gates Columbia X Roads, Pa., August 19, 1915. All relatives are cordially invited to be present. Churchill and Vroman Reunion. The annual reunion of the Churchill and Vroman families will be held at Lake Breeze on Saturday, August 21st, 1915. All relatives are cordially invited. Program committee: Sidney Clark, Margaret Churchill, Maude Holcombe. Mrs. Charles Doud, Secretary. The Ludington Family Reunion. The seventh annual reunion of the descendants of William and Ruth Ludington was held on Smythe Park, Mansfield, Pa., August 4th, 1915. There were 39 present. After dinner a business meeting was called to order by President A. O. Ludington, the following officers were elected; President, William Ludington; Vice-President John Ludington; Secretary, Mrs. Burt Dewey; Assistant Secretary, Mrs. P. K. Ludington; Treasurer, Charles Ludington, Mrs. Burt Dewey, Secretary. Parke Family. The 18th annual reunion of the Parke family will be held at Alparon Par, Sunday, August 21, 1915, S. L. Johnson, President; Martha Parke, Secretary. Harkness Family. The annual reunion of descendants of Capt. John Harkness will be held at Alparon Parke, Troy, Pa., on Thursday, August 19, 1915. Mrs. A. A. Doane, Secretary. Kiff Reunion. The second annual reunion of the descendants of Andrew Kiff, an American soldier of the Revolutionary War, was held at the residence of S. S. Cosper, Alba, Pa., August 5, 1915. There were 120 present. After prayer by Rev. C. W. Houston, and a short musical program, the following officers were elected for the coming year. President, S. S. Cosper; Vice President, Mrs. George Freeman; Secretary, Mrs. J. W. Kinch; Treasurer, Mrs. Jennie J. Greene; Historian, Mrs. Byron Crawford. Program Committee: Mrs. Clara Freeman, Mrs. Florence Dunbar, Mrs. Alla Packard, Mrs. Ora Holcombe, Mrs. Jennie J. Greene, Mrs. Julia Beardsley. A vote was taken to change the date of meeting to the first Wednesday in August, instead of the first Thursday. Place of meeting for next year Willard Dunbar’s, Alba, Pa.
Mrs. I. W. Kinch, Secretary. Kennedy Family. The fourth annual reunion of the descendants of Alexander and Catherine Kennedy will be held at Alparon Park, Troy, Pa., August 18, 1915. All relatives cordially invited. Mrs. Lena D. Kenyon, Secretary. Chase Family. The eleventh annual reunion of the Chase families will be held Thursday, August 26th, at the home of Will Tarbox, four miles south of Troy. Teams will meet the morning trains from the north and south. All relatives and immediate friends are cordially invited. Minnie Cease, Secretary. Wilcox Family. The eighteenth annual reunion of the Wilcox family will be held on August 27 at the Wilcox Grove near Shunk, Sullivan county, Pa. William M. Wilcox, 45 Winans Ave., Newark, N. J.
Hicks Family. The fifteenth annual reunion of the Hicks family will be held at the home of Mr. and Mrs. J. N. Rice, Wetona, Pa., Tuesday, August 31st. Worden and Jackson Families. The annual reunion of the Worden and Jackson families will be held on Saturday, August 28th, at the I. O. O. F. hall, Sylvania. All relatives are urged to attend. Dunbar Family. The eighteenth annual reunion of the Dunbar family will be held August 25th, at Alparon Park, Troy. Mrs. George VanNoy, Secretary. Boughton Family Reunion. The sixth annual reunion of the Boughton family was held Saturday, August 7th at Eldridge Park. About seventy-five members were present. The following officers were elected for the ensuing year. President, John Currenran, Vice-President, Harry Boughton; Secretary, Mrs. Emory Boughton; Treasurer, LeRoy Brown. Watts Family. The second annual reunion of the Watts family will be held in Parsons’ Grove, Canton, Pa., on Wednesday, August 25. Each member is requested to bring plate, cup, fork and spoon. By order of committee, Charles Watts President; Maude Barnes, Secretary. Strait Family. The seventeenth annual reunion of the Strait family will be held Thursday, August 26th, 1915 at the I. O. O. F. Hall, Sylvania, Dora M. Wolfe, Secretary. Adams Family. The descendants of Levi and Huldah Adams will hold their annual reunion at Alparon Park, Troy, Pa., on August 24th. All come and get acquainted with your relatives. A big time. C. L. Dewey, Secretary. Larcom Family. The 15th annual reunion of the Larcom family will be held in the Covington Grange hall, Covington, Pa. All relatives cordially invited. Mrs. Maud Rockwell, Secretary. Rockwell Family. The sixty-ninth annual reunion of the Rockwell family will be held at Alparon Park, Thursday, August 26, 1915. B. E. Rockwell, President, Ira A. Parsons, Secretary. McClelland Family. All relatives and descendants of John and Anna Marie McClelland are requested to meet at Alparon Park, Wednesday, August 25th, the event being the second annual reunion of the family. All are requested to bring silver and cups sufficient for their family. Any further information may be obtained by writing Mrs. Fay D. Morley, Secretary, Gillett, Pa.
Wood Family. The fourth annual reunion of the relatives of Asa Wood and Dolla Smith Wood will be held August 26, 1915, at the home of Gene Wood, Mackney Street, Troy, Pa. All relatives and friends are cordially invited to attend. Gene Wood Secretary. Ward Family. The Ward family will hold their eleventh annual reunion in the Gillett Grange hall, Gillett, Pa., September 4th. All relatives and friends are invited. Miss Reva B. Ward, Secretary, Snedekerville, Pa.
Thomas Family. The seventh annual reunion of the Thomas family will be held at the home of Herrick Thomas, Canton, Pa., on Wednesday, August 25, 1915. All relatives and friends are invited to be present. E. H. Thomas President; Mabel D. Thomas, Secretary. The Fuller and Bardwell Reunion. The eight annual reunion of the Fuller and Bardwell families was held at the I. O. O. F. hall Sylvania, August 10th with about forty relatives and friends present. A fine dinner was served at noon after which a business meeting was called to order by President P. K. Ludington. The meeting was opened by reading minutes of last reunion followed by election of officers as follows: President, P. K. Ludington; Vice-President, Sam Fuller; Secretary, Mrs. Dean Rockwell; Assistant Secretary, Edith Fuller; Treasurer, Claud Fuller. It was voted that reunions hereafter be held the second Wednesday in August and that the next reunion be held at Sylvania, Pa., at the Odd Fellows hall. Committee of arrangements; Sam Fuller, George Carnright, Roy Fuller, Stewart Dewey, Guy Fuller, Edith Fuller, Mrs. Leo Burnham, Maud McIntosh, Mrs. Claud Rumsey. There were recitations by Beatrice Ludington, Zeta Carnright, also a short talk by Mrs. Matilda Ludington. The Lewis Family Reunion Much Enjoyed. The first family gathering of the descendants of Eli J. and Marian Lewis of Granville Summit, was held on Saturday, August 14th, at their home, with all their children and grandchildren present. The day was an ideal one and the event was much enjoyed. At noon a bounteous meal was served. Those present were Earl Lewis and wife and daughter, Evelyn of Fort Wayne, Ind., Mrs. H. G. Hawthorne, Leslie Hawthorne and Dorothy Hawthorne of Shores Hill, Pa., C. W. Lewis and daughter, Marian Isabelle of Windfall, Mrs. Wayne Smith and daughter of Schenectady, N. Y., Mr. and Mrs. J. W. Hancock of Towanda, and Mrs. Leon Northrup and daughter, Helen of Rochester, N.Y.
Herrington Family. The twenty-first reunion of the descendants of Truman and Weltha Herrington will be held at Ogdensburg, the first Saturday in September. All relatives are requested to be present. Silas Putnam, President. The Woodard and Benjamin Reunion. The Woodard and Benjamin reunion was held at the home of George W. Gates, Columbia X Roads, Pa., August 19. A good time was had by all. At 1 o’clock a fine dinner was served to the thirty-seven present. The following officers were elected: President, John Matson: Vice-President, George Gates; Secretary, Nellie Warner; Treasurer, Mrs. Bertha Palmer. (Windfall News) The Bunyan reunion was held at the home of J. W. Duart last Saturday and the Warren reunion was held at the Grange Hall here last Thursday. Several relatives from a distance were present at both gatherings. (Windfall News) Mr. and Mrs. Caz. Sturdevant of Potter county, attended the Rockwell reunion at Mountain Lake last Thursday and are now spending a week visiting relatives here. (Armenia News) Mr. and Mrs. T. F. Morgan and Mrs. H. S. Morgan were in Candon, N. Y., for the Harvey reunion last Saturday. (Armenia News) The Field reunion at the home of Mrs. Holmes Saturday, August 28 brought about seventy people who thoroughly enjoy meeting the friends they seldom see any other day in the year. Those from a distance were George Field from Overton, who was 87 years old that day; Miss Genevieve Bird, Overton; Mr. and Mrs. J. F. Holmes, Brooklyn; Mr. and Mrs. J. S. Rogers, Cowanesque; Mr. and Mrs. William Rogers, Painted Post; Miss Bertha Youmans, Gilletts; Mr. and Mrs. A. D. Biddle, Mrs. W. F. Davison, Miss Goldie Biddle, Mr. and Mrs. C. F. Biddle and family, Mr. and Mrs. O. F. Field and family of Canton; Mr. and Mrs. D. D. Alexander of Sylvania, Mrs. L. L. Alexander and children of Troy. Thomas Family Reunion. The seventh annual reunion of the Thomas family was held at the home of Mr. and Mrs. Herrick Thomas, Canton, Pa., Wednesday, August 25th. About ninety were present to partake of the delicious dinner, which was served on the lawn. In the afternoon a business meeting was called by the President E. H. Thomas, to which all assembled in the spacious rooms of the house. The officers were chosen for the coming year and it was decided to hold the next reunion at the home of Lynn Colwell, Canton, Pa. Rev. R. F. Delmont gave a few remarks in a very pleasing manner. A vote of thanks was given Mr. and Mrs. Thomas for their kind hospitality. Stanton Reunion. The sixth annual reunion of the descendants of David and Joseph Stanton was held at the home of J. G. Darrow at Burlington, Pa., August 18, 1915, sixty-eight being present. The day was fine and everyone seemed to enjoy themselves. The meeting was called to order by the president, B. A. Darrow opened by singing the best friend to have is Jesus. Scripture reading and prayer, the following officers were elected: President B. A. Darrow; Vice-President, James Stanton; Secretary, Janette Darrow; Treasurer, Mert Stanton; Chaplain, Simon Stanton, Historian, Emma Chaffee. The next meeting is to be held at Herbert D. Campbell’s, West Burlington, Pa., the third Wednesday in August, 1916. Ayres Reunion. The twenty-sixth annual reunion of the descendants of Abijah and Thursa Ayres was held at the home of Galan Ayres, near Alba, Pa., August 18, 1915. About sixty-five relatives and friends were present. Promptly at noon a fine dinner was served after which the company was called to order by the President, A. C. Ayres. Then followed a song and reading of the Scripture, prayer by Nelson Maynard and remarks by the President. The Secretary’s report showed five deaths, four births and one marriage. Election of officers: President, Manley Meeker; Vice-President, Frank Ayres, Secretary, Ada M. Leiby, Treasurer, William Spalding. A committee was appointed to decide the next place of meeting. A vote of thanks was extended to Mr. and Mrs. Ayres for their kind hospitality. Our gathering was saddened by the sudden death of Mrs. E. B. Redington, so recently. The Fletcher Reunion. The seventh annual reunion of the descendants of Jabish and Neona Fletcher was held at Alparon Park, Troy, August 20. Following a sumptuous dinner, the meeting was called to order by the President, Mrs. John Yates. Seventy-eight members of the family were present from Sayre, East Smithfield, Canton, Troy, Burlington, Mountain Lake, Mansfield, Sayles, Springfield, Columbia X Roads, Bourne’s Mill and Milan. The minutes of the last reunion a year ago having been read, officers were elected as follows: President-Franklin Fletcher; Vice-President, Levi Williams; Secretary, S. G. Fletcher; Treasurer, Frances Jakeway. Table Committee, Miss Ruth McKay, Miss Edna Yates, Miss Anna Williams, Mrs. Charles Gates, Mrs. K. R. Fletcher, Mrs. E. L. Youman. Two deaths were reported since the last meeting and two marriages. It was voted to hold the next meeting at the same place, Alparon Park, Troy, on August 18th, 1916, with a general picnic dinner to be served at 1:30 o’clock. Rockwell and Green Reunion. The twenty-fifth annual reunion of the descendants of Allen Rockwell and the fifteenth annual gathering of the Green family was held at Mountain Lake on August 19th. The day was an ideal one and friends and relatives gather from far and near. At noon about 100 sat down to the tables which were set on the hotel porch and all seemed to do their share to help unload them of all the good things one usually finds at such a place. After dinner the meeting came to order by singing, "When the roll is called up Yonder. Prayer was offered by President Mortimer Rockwell; Pansy Kratzer recited “The Mustard Plaster” and “When Hulda ‘spects a Beau.’ Jean Carnwright, “Papa’s Letter;” Hulu Baird, “Milking Time and Sneezing,” Hugh Baird sang a scotch song and recited a scotch piece; duet, “Somebody Knows.” Officers elected: President, Mortimer Rockwell; Vice-President, Sylvester Rockwell; Secretary, Matie Bailey; Treasurer, Hugh Baird, Entertainment Committee, Mrs. Blanche Stanton, Stella Baird, Till Young and Perry Green. Sylvester Rockwell, Jean Lyons and E. A. Rockwell were appointed to decide on the place for the reunion of 1916 on the third Thursday in August. Mrs. Matie Bailey, Secretary. The Beach Family Reunion. The sixteenth annual reunion of the Beach family was held at C. C. Horton’s, East Troy, August 19, 1915. There were twenty-six present. The same officer were elected for the years 1916. President: W. F. Burlingame; Vice-President, F. E. Manley; Treasurer, Mrs. Ella Horton; Secretary, Rosa Williams. The next reunion will be held at the same place the third Thursday of August, 1916. Miss Rosa Williams, Secretary. The Rockwell Reunion. At the annual reunion of the descendants of Samuel Rockwell, held at Alparon park on August 26th, it was decided to celebrate with considerable distinction the 70th anniversary of the first Rockwell reunion, next year on August 25th. Samuel Rockwell came to Bradford county from Massachusetts in 1804, and his sons, with their families, met at a farm near Alba, in 1846. Since that time the family has annually met. Ira Parsons and Mr. Norton Stanton were appointed a committee to negotiate the celebration; and it is proposed to prepare a small volume dealing with the history of this branch of the Rockwell family since it came to Bradford county, in the absence of B. E. Rockwell, Oscar Rockwell, M. D., of Monroeton, presided. Dr. Rockwell, with the Rev. Hiram Rockwell Bennett, made short addresses and there were recitations by Mrs. Blair and Mr. Bixby and the Misses Stanton and Bixby and a son by Miss Blair. The picnic dinner gave evidence that the Rockwell women are the best cooks in Bradford county. The Kennedy Reunion. The fourth annual reunion of Alex and Catherine Kennedy was held at Alparon Park, August 18th. A fine dinner was served to about forty-nine relatives and friends. W. B. Kennedy called the gathering to order when it was voted to have the next reunion at Alparon Park, August 18th, 1916. The following officers were elected: President, Marcus Howland: Vice-President, Fred Kennedy; Treasurer, Walter Havens, Secretary, Mrs. Lena Kenyon. (Local News) The eleventh annual reunion of the Chase families was held Thursday, August 26th at the home of Mr. and Mrs. Will Tarbox near Troy. Seventy-four were present. After dinner a business meeting was called by the president, Daniel Chase. Prayer was offered by Lee Fletcher and the minutes of last meeting read by the Secretary, Mrs. Della Gross and Mrs. Eva Griswold gave recitations. Daniel Chase was re-elected President and Minnie Cease Secretary and Treasurer. A committee on entertainment are Mrs. Eva Griswold, Miss Mabel Gross, Arthur Chase, Lee Fletcher and Dave Frazer with Eva Griswold, chairman of the committee. A motion was carried to meet the last Thursday in August, 1916, at the Gillett Grange hall. Members were present from Troy, Alba, Canton, Fall Brook, Tiadaghton, Conemaugh, Pa., Wayland, N. Y., Gillett, Thompson Hill and Bentley Creek. (Wetona News) Nearly one hundred relatives attended the fifteenth annual reunion of the Hicks family at the home of Mr. and Mrs. John Rice in Wetona, August 31st. After the bountiful dinner in the tents a business meeting was held. Four deaths, eight births and two weddings were reported since last year. For 1916, G. L. Hicks was elected President; James Hicks, vice-president; Mrs. Roy Young, secretary; and J. A. Guild, treasurer, with the vast sum of one cent in the treasury. The next place of meeting will be Keystone Park, Sayre. The Ward Reunion. The eleventh annual reunion of the descendants of Moses and Mary Ward was held in the Gillett Grange hall, Sept. 4th. Ninety-three friends and relatives came to renew old acquaintances. At noon all sat down to well laden tables. After dinner the president called the meeting to order and the following officers were elected; President, George Ward; Vice-President, Mark Ward; Secretary and Treasurer, Miss Reva Ward; Organist, Milton Ward; Assistant Organist, Miss Myrtle Darrow. The next reunion will be held in the Gillett Grange hall the first Saturday in September, 1916. Four marriages, six births, no deaths the past year. Strait Reunion. The sixteenth annual reunion of the Strait family was held in the I. O. O. F. hall at Sylvania, August 26th 1915. About fifty-seven relatives and friends were present. A fine dinner was served, after which the company was called to order by the President, Frank War. A solo by Miss Dorothy York was enjoyed by all. Devotional exercises by N. A. Maynard. The report of the Secretary showed four births and five deaths during the year. Election of officers: President, Prof. George b. Strait; Vice-President, N. A. Maynard; Secretary and Treasurer, Bessie H. Ward. Wood Reunion. The fourth annual reunion of the descendants of Arba and Dolla Smith Wood was held at Gene Wood’s, Troy on August 26. Fifty-one relatives were present and a very fine time was enjoyed by all. After dinner a business meeting was held and officer were elected for the coming year. A vote of thanks was given Rev. E. J. Moss for a fine talk. Updyke Reunion. The first annual reunion of the Updyke family was held at the home of Mr. and Mrs. Ray Card, August 27th. The following officers were elected for the coming year; President, Ray Card; Secretary, Miss Olive Tears; Treasurer, Mrs. Ray Card; Literary Committee, Mrs. Ray Smith, Miss Mildred Sweet, Miss Ethel Shaw, Mrs. Claude Andrews. The second annual reunion of the Updyke families will be held at the home of Mr. and Mrs. Ray Smith, June 16, 1916. Miss Olive Tears, Secretary. Barrett Reunion. The 12th annual reunion of the descendants of Isaac and Elizabeth Barrett was held at Eldridge Park, Aug. 22. There were about seventy in attendance. A delightful dinner was served. After dinner President John Barrett called the business meeting to order. The secretary read the minutes of last reunion which was adopted. There were three births and two marriages, no deaths past year. The following officers were elected for the ensuing year: President, E. E. Barrett; Vice-President, Lee H. Barrett; Secretary, J. H. Patterson; Treasurer, Charles McKeel; Chaplain, Mrs. Seymour Barrett. After the business meeting adjourned about twenty-five visited the Elmira reformatory. There was only one direct descendant of Isaac and Elizabeth Barrett, a son, James, the last of a family of ten children. He is now in his 92d year. There were friends from New York City, Endicott, N. Y., Columbia X Roads, Troy, Springfield, Canoe Camp, Elmira and Ridgebury. Alparon Park, Troy, was the next place selected to hold the 13th annual reunion. The VanHorn family reunion with an attendance of 96, was held at Alparon Park June 27. During the past year there was reported four births, two marriages, two deaths. After a sumptuous dinner the time was spent in visiting, songs, recitations and sports. Those from a distance were Harry VanHorn and family from Salisbury, MD, Mrs. Stella Milan and children from New York, Mrs. Edith VanDeMark and son Clarence Huntley from Elmira, Mrs. Eva Lowing from Crawford County, PA. The next reunion will be held at Alparon Park June 25, 1920. The eight annual reunion of the Seeley and Knights families was held at Harvey Knights’ Tuesday, July 27, 1919. The day was cool and pleasant and there was an attendance of about 70. At 12 o’clock a sumptuous dinner was served to which all did ample justice. At. 2 o’clock a business meeting was called to order with the president A. E. Seeley, in the chair and officers elected for the next year. An invitation was given by Adelbert Seeley to meet at his home for the next year. After the business meeting a short program was rendered. As we looked upon different faces we though of those dear ones who were with us last year but who have passed from this world to a better one. There were 4 deaths and 1 birth since last year. Mrs. Lynn Reynolds, Secretary. (Springfield News) The eighteenth annual reunion of the Barrett family was held Saturday, August 18th, at the former home of J. H. Patterson in the community of Newbury. About one hundred and thirty relatives and friends were present. (Local News) The family of Allen Rockwell at their 29th reunion at Mountain Lake, elected these officers: President, Mortimer Rockwell; Vice-President, Sylvester Rockwell; Secretary, Mrs. J. W. Bailey; Treasurer, Port Merrithew; Program Committee, Mrs. Fred Whitehead, Mrs. Robert Bailey, Mrs. Robert Rockwell. The seventh annual reunion of the McKean family was held at the pleasant home of Mr. and Mrs. T. E. Brownson in West Burlington, on August 29 with an attendance of about 66. After a most bountiful dinner they gathered in the parlor to sing old familiar songs. The business meeting was carried by President Brownson with a literary program under the leadership of Allie Dickinson which made the afternoon go all too quickly. Those from away were Messrs. Leroy and James McKean and cousin from Towanda. Mr. and Mrs. Mark Lucas and children and Mrs. Josie Swain, Elmira. Messrs. Arthur McKean and John Dobbins, Mrs. H. S. McKean and Mrs. Hepburn from Troy. Bertha Ensco from Arizona, Rev. E. J. Yerdon and family from Euclid, N.Y. and John Dart from South Otselic, N.Y. Officers for following year were elected; John Dickinson, President, George McKean, Vice-President, A. B. McKean, Treasure, Elizabeth McKean, Secretary. The eight annual reunion of the Kennedy family was held at Sylvania I.O.O.F. hall, August 28, Sixty-four relatives and friends were present. A bountiful dinner was enjoyed after which an excellent program was rendered, consisting of piano selections by John Canedy, a one-act comedy, Jonesville’s Experience Meeting, and a history of the Kennedy family read by Mrs. Fred H. Canedy. The following officers were elected: President, Mrs. Florence Salisbury; Vice-President, Fred Havens; Secretary, Mrs. Fred A. Kennedy; Treasurer, Mrs. Charles Dix. It was voted to hold the next reunion at the same place on the last Wednesday in August, 1920. The 12th annual reunion of the Fuller and Bardwell families was held at Riverside Park, Elmira, Aug. 22d, with 89 relatives and twelve visitors present. After dinner a business meeting was called to order by President Sam Fuller. The minutes of the last meeting were read. These officers of the coming year were chosen President, G. P. Fuller; Vice-President, E. G. Elliott; Secretary, Minnie M. Carnright; Assistant Secretary; Sarah Ludington; Committee for arrangement, Mrs. Roy Fuller, Mrs. William Lousk, Mrs. Claude Fuller, Charles Elliott, Alvin Rogers. It was voted to hold the next reunion at Eldridge Park, the fourth Saturday in Aug. 1920. If it is a stormy day then it is at the home of Frank Brown, Elmira Heights. Since the last reunion there has been 3 deaths, 6 births, 2 marriages. Minnie M. Carnright, Sec’y. The 37th annual reunion of Company C., 7th Pa., V. V. Cavalry, was held at Eldridge Park, Elmira, N.Y., September 4, 1919. A very rainy morning again greeted us, but the clearing skies at noon were all the more welcome and the seventy people who had braved the storm thoroughly enjoyed the unusually bountiful dinner prepared by the ladies, and served in the large pavilion. The following member of the Company were present: Albert Newell, W. H. Colony, Joseph Shoemaker, Jud Howe, L. Haven, Perceptor Wood, Josephus Stout, J. T. Adams, Wm. Haflett; Also the following widows: Mrs. John W. Duart, Mrs. George Haflett, Mrs. James Howe, Mrs. Chas. Storrs. The names below have answered the final summons during the past year: John W. Duart, James Howe, George F. Robinson, Steven Darling, Mrs. Jud Howe, Mrs. Philander Case. Forty three descendants of William and Dolly Packard met at the pleasant home of Mr. and Mrs. Eldric Packard near Troy, Thanksgiving Day, Nov. 27, 1919. After a most bountiful dinner a short program followed, consisting of vocal solos and recitations. The company was especially favored by Miss Jane Case, elocutionist of Elmira who gave several of her delightful selections. At a late hour in the afternoon the company left for their homes wishing that all might meet again next year at the home of G. G. Ayres near Alba.